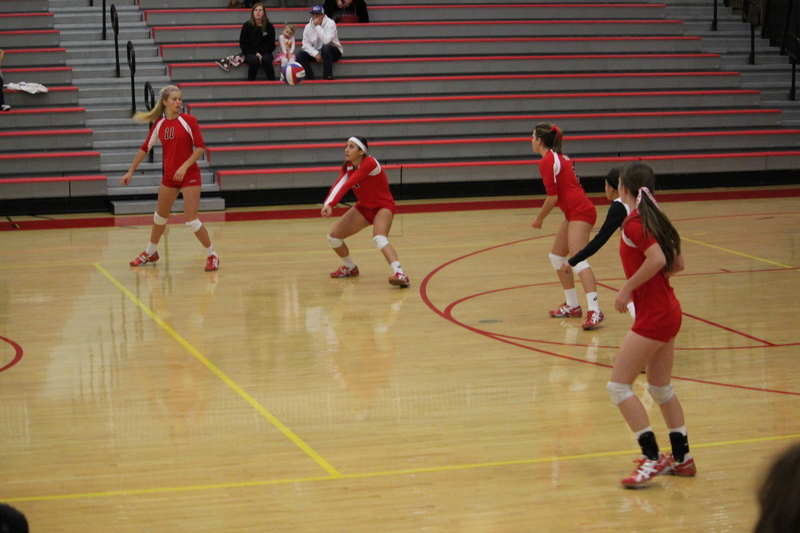 The Bulldogs triumph advances them to the quarter finals against La Canada, 3 p..m., Friday, Feb. 24 at Hemet Stadium. 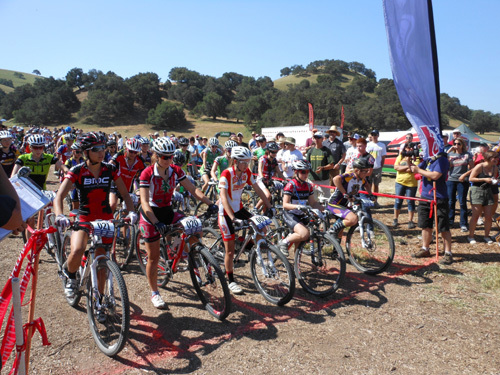 Emma Klingaman (center) is on the starting line at state championships on May 20. She finished sixth out of 20 in the girls varsity field. Hemet High School earned fifth place overall in Division 1, which included 32 teams. 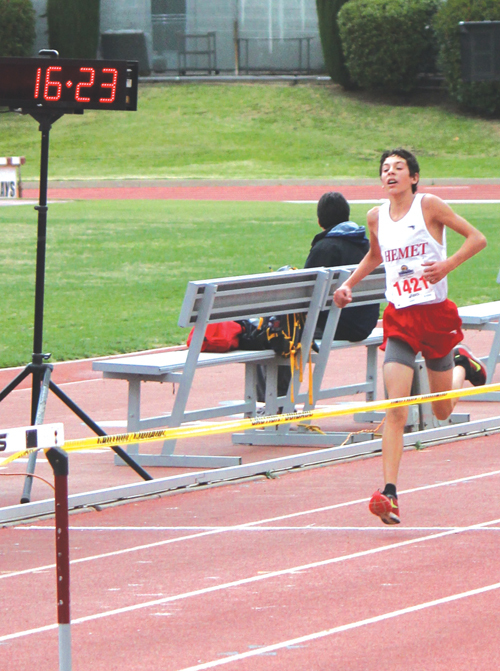 At his first indoor track meet, a statewide competition in Fresno, Jayden Emerson, of Hemet High School and Idyllwild, finished second in his heat and ninth overall in the 2-mile race. Jayden Emerson, Idyllwild, finishing his run in the California Inter-Scholastic Federation Southern Section preliminaries. 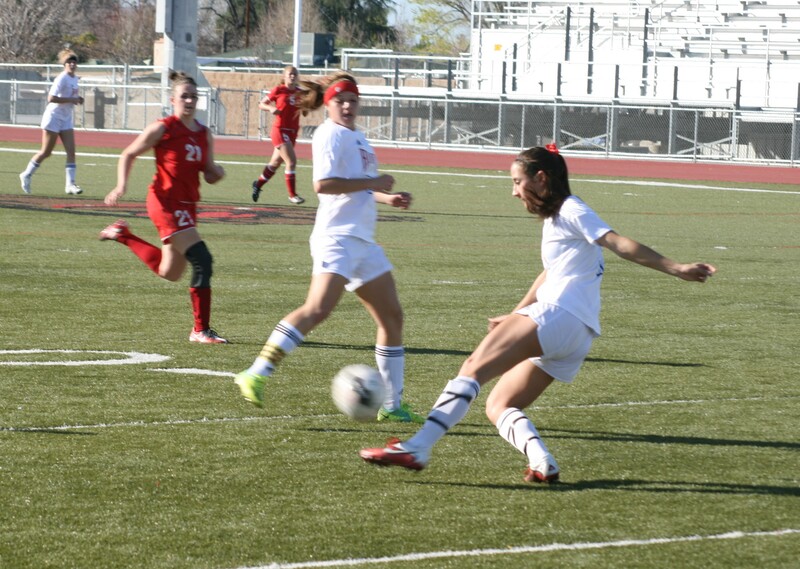 Jayden and fellow Hemet High School freshman, Tanner Torrez, joined the varsity team in November. Hemet finished ninth out of 14 teams. In the Mountain Pass League finals, the previous weekend, Tanner and Jayden led the varsity to second place, finishing 9th and 12th, respectively, out of 42 runners. 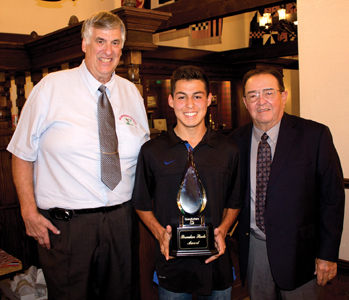 The inaugural Brendan Steele Award was presented to Cesar Cruz (center). Grandfathers for Golf President Tony Viola (left) and Advanced Head Coach Frank McCollum (right), himself a former PGA Tour professional, made the presentation.